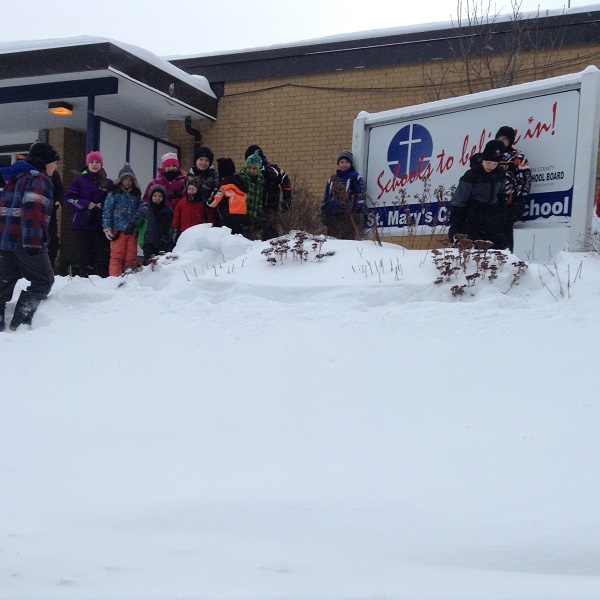 St. Mary’s Catholic School is located in one of the most beautiful settings God has created. We are a thriving, faith filled community with well established Polish and Kashubian traditions. We provide an environment that is a safe and welcoming place for all; a place of warmth, hospitality, good humour and joy: a place that promotes the beliefs and values we hold in our parish and in our larger faith community. Our caring staff is committed to the academic, emotional, social and spiritual needs of your child and to maximizing each child’s learning potential. We value school, home, parish communication and will strive to have all involved in activities at our school. Parents are the first teachers of their children and we promote as much participation in their child’s school life as possible. Jesus would have it no other way!